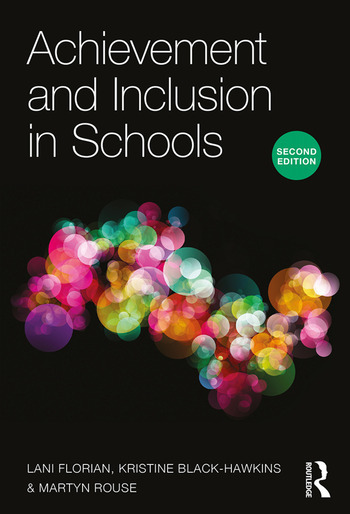 Thoroughly updated to reflect the challenges of diversity in today’s schools, this new edition of Achievement and Inclusion in Schools shows how high levels of inclusion can be entirely compatible with high levels of achievement and that combining the two is not only possible but also essential if all students are to have the opportunity to participate fully in education. Are there strategies which can raise the achievement of all students, while safeguarding the inclusion of others who are more vulnerable? How can schools ensure high levels of inclusion as well as high levels of achievement for everyone? How might research into these matters be carried out? With new case studies in this second edition that reflect the devolution of education policy in the four countries of the UK, this book addresses concerns about how schools can respond to differences between learners without marginalising some of them. It offers guidance to practitioners as well as those undertaking research on this important topic. Lani Florian is Bell Chair of Education at the University of Edinburgh, UK and Fellow of the Academy of Social Sciences (FAcSS). Kristine Black-Hawkins is Senior Lecturer in Inclusive Education and Director of Learning and Teaching in the Faculty of Education at the University of Cambridge, UK. Martyn Rouse is Emeritus Professor of Social and Educational Inclusion at the University of Aberdeen, UK where he was Director of the Inclusive Practice Project.